HEAVILY INFLUENCED BY HIGH ENERGY JAZZ, FUNK AND BLUES. Adam's Band will be releasing their first album in June 2017! Their album launch event at The Pizza Express Jazz club in Soho is on June 11th 2017. The band features some of the most in demand musicians on the planet....Simon Allen on sax ( Jamie Cullum, Beverly Knight) Simon Carter on keys ( Jamiroquai, The Dire Straits experience) Steve Pearce on bass ( Herbie Hancock, Stevie Wonder) and Ian Thomas on drums ( Eric Clapton, Mark Knopfler). They play regularly at London's Ronnie Scotts Jazz club and various Jazz and blues events. 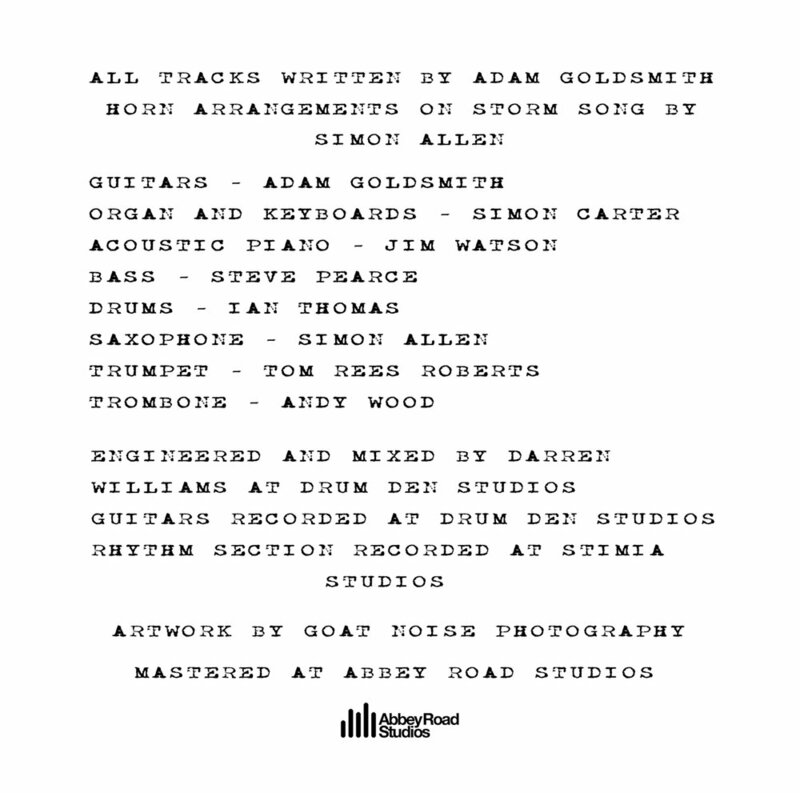 All tracks written by Adam Goldsmith. Horn arrangements on Storm song by Simon Allen. Pizza Express, Dean Street, London. If you're looking for a band for your festival or event, Adam and the band would love to hear from you.